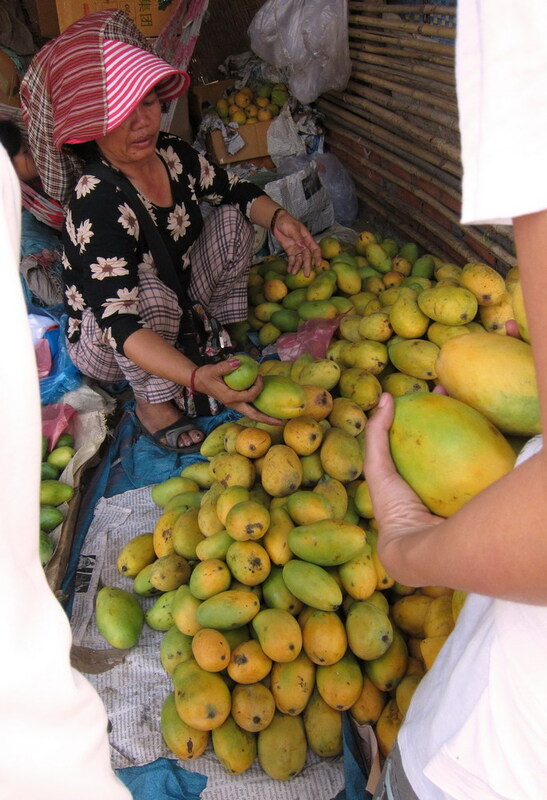 Mangoes grow well in Cambodia and this is the season for it. at the market and are very sweet and succulent. I love mangoes! I especially like the ones that have the yellow skin all around and are sweet most of the time.